Home / News / Politics / Duterte intellectually counters Opposition logic: Why wage a war we cannot win? Duterte intellectually counters Opposition logic: Why wage a war we cannot win? 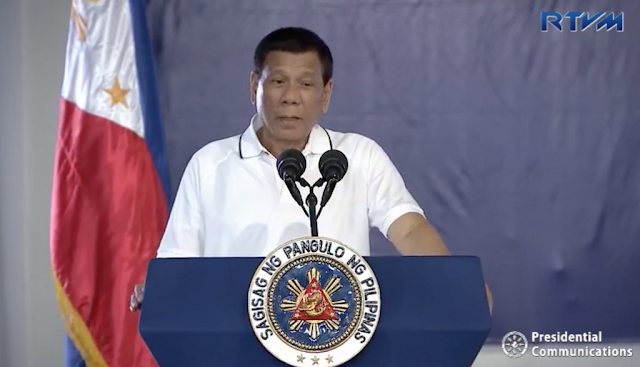 During the opening of the oilfield in Alegia, Cebu, President Rodrigo Roa Duterte clarfied that the dispute over the West Philippine Sea between the country and China is of trouble the Philippines can’t afford to have. Ever since he came into power, Duterte’s goal with neighboring countries was a multipolar approach in improving each others economy. Clearly waging war with the most powerful economy is proposterous and other than that war only begets unnecessary bloodshed. And yet the Opposition continuously urgest the Philippine President to fight for the country’s right. The Duterte acknowledged this request and talked to the Chinese President Xi Jinping saying that the Philippines plans to dig for oil in our western sea. "You know how Chinese talk when they say… Alam mo, ‘pag pinilit mo, there will be trouble. What will we arm ourselves with if there is war?" He also fired back on Senator Antonio Trillanes who wants to war with China. "That is why when Trillanes and the opposition said that we insist on the issue ... why would I give away the lives of my soldiers and policemen in a battle which I cannot win?" Stated the Philippine President. Truly it is trouble the Philippnes cannot afford, despite protesting in any sort of court, the country will still lose one way or another. Duterte’s joint venture solution with China is so far the best one yet, one without bloodshed while being one that benefits both and keeps ties tight, that is importantly special in times of crisis.